M0WYE's Blog: Extending the tuning range of a radio receiver. I'm sure we have all wished our radios would tune just a little bit further up the band. Well who would have thought it was so simple ... just put a small capacitor in series with the antenna lead! 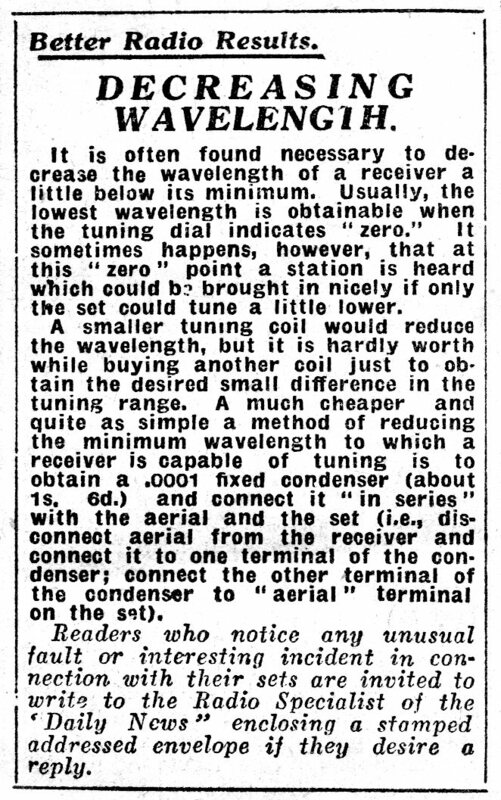 Somehow I feel this might not work with modern synthesized radios. 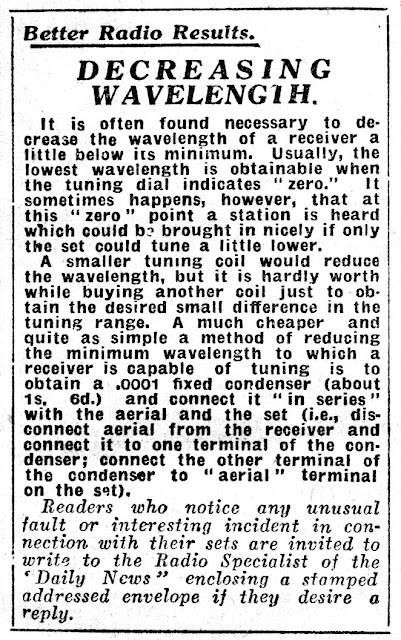 Frankly I am a little doubtful that it can even have worked with steam-powered radios, but a simple crystal set may have been detuned a little by the addition of more capacitance in the aerial circuit.